Home / 10-point plan of Maryam Rajavi / Iran / Maryam Rajavi / MEK / PMOI / NCRI / What is the solution for Iran? These days, various Trump administration officials are heard making remarks and taking measures regarding Iran. U.S. ambassador to the U.N. Nikki Haley has time and again spoken about Iran’s notorious activities. “[T]he country that continues to cause the most havoc, whether it’s Syria, whether it’s Iraq, any place around the world you look at Iran, and you see there is a bad influence, and being that state sponsor of terrorism is something we don’t want to reward,” Haley said in a recent interview with CNN. The fact that Iran has for years been the world’s leading sponsor of terrorism and has destabilized the entire Middle East by meddling in other countriesmeddling in other countries is nothing new. Iran’s secret nuclear program, aimed at obtaining atomic weapons, parallel to its flagrant human rights violationshuman rights violations dossier, is also nothing new. To this end, the question is, why has this regime for years been permitted to so internationally provoke and seek such meddling while launching such ruthless crackdown campaigns domestically? In other words, why has Iran developed such circumstances, and what must be done? The reason can be found first in the nature of the regime ruling Iran and the policies adopted by the West in the face of Tehran. This focus has hinged on appeasing the mullahs and engaging in rapprochement. Events in Iran throughout the past four decades clearly show that there are no “moderates” to be found inside this regime, and until the mullahs’ establishment is out of power, we will not witness any change from within. This is exactly why, over 40 years, be it during the tenure of “hardliners,” such as Mahmoud Ahmadinejad, or the so-called “moderates,” seen in former president Mohammad Khatami and the incumbent President Hassan Rouhani, Iran’s official policy has continued to focus on exporting crisis and terrorism abroad, quelling domestic dissent, and continuing efforts to obtain nuclear weapons. To divert Western policy vis-à-vis Iran, in addition to the “good cop, bad cop” scenario, Iran has also continuously claimed the absence of any credible opposition or alternative. Therefore, with no change in sight, the only solution is to seek change from within. The actual truth lies in the fact that the National Council of Resistance of Iran (NCRI), with the People’s Mojahedin Organization of Iran (PMOI/MEK) as its main member, is the largest opposition against Tehran. This coalition enjoys the most support among Iranians inside the country and abroad, as seen vividly in its annual 100,000-strong rallies, where supporters gather in Paris from all four corners of the globe. 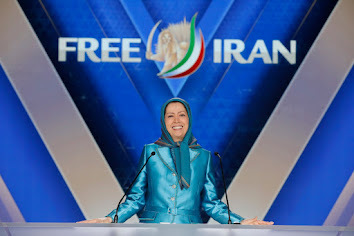 Despite the Iranian regime launching killings sprees and massacring more than 30,000 PMOI/MEK members and supporters in the summer of 1988, this organization has remained the most powerful Iranian opposition movement, enjoying networks in cities across Iran. 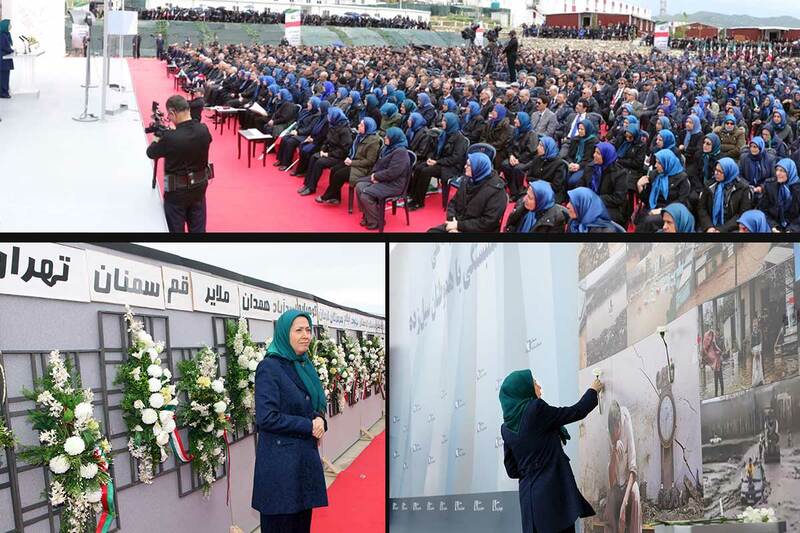 Senior Iranian regime officials have admitted time and again how the PMOI/MEK network organized the massive 2009 rallies without leaving a trace. And currently, Iranian officials are terrified of a 2009 repeat in the upcoming May 19 presidential election. In contrast to the misogynist regime ruling Iran that recognizes no rights for women, this opposition is led by a woman, seen in NCRI president Maryam Rajavi, who has presented a 10-point plan for a future, truly democratic Iran. Universal human rights, separation of church and state, a non-nuclear Iran, gender equality, freedom of religion, revoking the death penalty, banning torture, and respecting all international covenants are aspects of Rajavi’s agenda. Tehran has pursued its deceptive policy and lured the West into a mirage of finding “moderates” in Iran. As a result, Western appeasers have failed to see the truth regarding Iran and never adopted a firm policy against Tehran’s mullahs. Today, the Middle East and the world over are paying the price of such a mistaken policy. If this trend continues, we will unfortunately be witness to further catastrophes in the not so distant future. Source: What is the solution for Iran?